Just Bambinos Product Articles and Blogs: FETAL MOVEMENTS IN PREGNANCY. 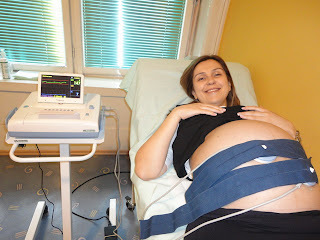 Many pregnant ladies get concerned at some point of their pregnancy about their babies movements. Is it too much? Is it not enough? When should I start feeling it ? etc. To ease these concerns, the Royal College of Obstetricians and Gynaecologists have produced some new, research based guidelines concerning 'what is normal' fetal movements during pregnancy. Most women, when having their first baby, are not aware of fetal movements until approximately 20 weeks gestation. If it isn't your first baby, you may be aware of them at approximately 16-18 weeks. At first, the movements are usually described as a flutter, or a swish rather than a kick, but will start to feel more like a kick or a roll as the pregnancy develops. These movements should increase until you are about 32 weeks and then should remain similar for the rest of the pregnancy. Your baby will also have it's own activity pattern, when some periods are more active than others, such as in the afternoon or the late evening. It is also normal for your baby to have its own sleep pattern which will continue throughout the day and night. Your baby will sleep for periods usually lasting between 20-40 minutes but rarely for more than 90 minutes. During these sleep phases, your baby will not move at all. Midwives and Doctors used to advise pregnant women that 10 movements a day were adequate. This is no longer the case. No specific number of movements is classed as "normal", what is now considered important is that the amount and pattern of fetal movements is what is usual or normal for your baby. Therefore if you notice a change in this pattern, or a reduction in the amount of your baby's movements, you should consider attending your midwife or hospital to have it checked out. There are factors in all pregnancies which can affect you feeling your baby move. For instance, if you are busy at work or perhaps running around after another toddler, you may not be aware that your baby has moved. Also if your placenta is attached to the front of your uterus this can make it harder to feel the more subtle movements, and if your baby's back is lying uppermost at the front of your uterus then this may cause you to feel less movements, unlike when your baby is lying back-to-back and you can feel the limbs more easily, in fact, you can often see the movements! These are factors that may cause you to be less aware of your baby's movements although your baby is moving well. There are also factors which may cause your baby to move less. These may include taking certain drugs, such as strong pain killers or sedatives. This is because the drugs cross the placenta and enter the baby's bloodstream. The same goes for alcohol and smoking. Sometimes, it may be that your baby is unwell and this will need investigating. If you have not taken anything and you are unsure whether or not your baby's movements are reduced, the RCOG are recommending that you should lie down on your left side and focus on your baby's movements for the next 2 hours. You should feel 10 separate movements during those 2 hours, if you don't, you should seek reassurance via your midwife as soon as possible. It is important that you do not rely on any home kits you have purchased for listening to your baby's heartbeat because this could lead to a false sense of security as it is impossible to ascertain fetal wellbeing if only the rate of the baby's heart is known. The medical care you receive will depend on what gestation of your pregnancy you are at. If you are less than 24 weeks pregnant, but you feel your baby's movements have changed, you should contact your midwife, who will be able to listen in to the heartbeat. If there are any other factors she may refer you for an ultrasound scan. If you are between 24-28 weeks pregnant you should again contact your midwife who will check your baby's heartbeat. She will give you a full ante natal assessment and may refer you to your local hospital for an ultrasound scan or refer you to a consultant for a full risk assessment. If you are over 28 weeks pregnant, you must contact your midwife immediately. You should not wait until the next day. You will be referred to your local hospital or maternity unit where you will receive a full ante natal assessment. This should include a monitoring of your baby's heartbeat on a machine (CTG) for approximately 20-30 minutes. 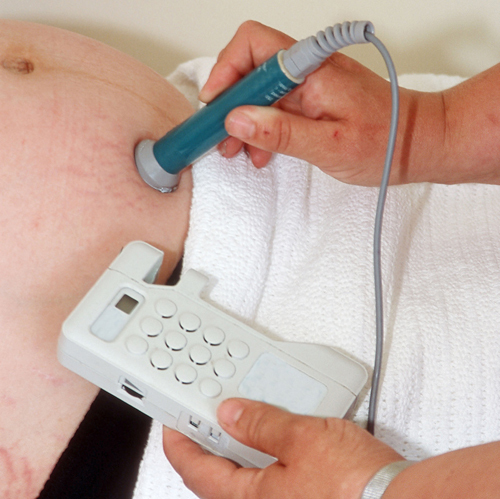 There are several features on the CTG readout that your midwife will assess. This will reassure you of your baby's wellbeing. If all is well, you will be allowed home. If there are any concerns, you will probably be offered an ultrasound scan. This should be performed within the next 24 hours and you may be asked to remain in hospital until this is performed. If your obstetrician deems it safer to deliver your baby sooner rather than allowing you to go into spontaneous labour, you will be given full information regarding your situation. If all is well and you are allowed home, it is important that you continue to monitor your baby's movement pattern and report back any further concerns. REMEMBER! A WELL BABY MOVES PLENTY!